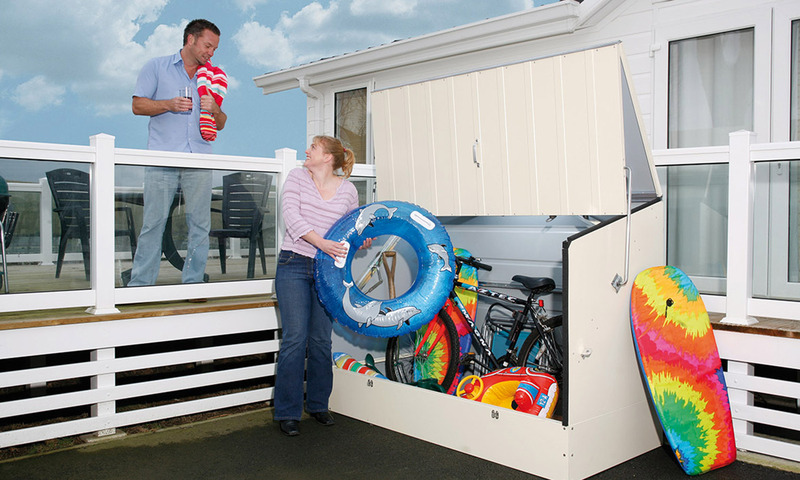 Alongside holidays comes a wealth of leisure equipment, toys and games but it can be a challenge to keep that all secure and dry without cluttering up your inside haven with such things as barbecues, bikes, toys, tennis rackets, inflatables and fishing gear. 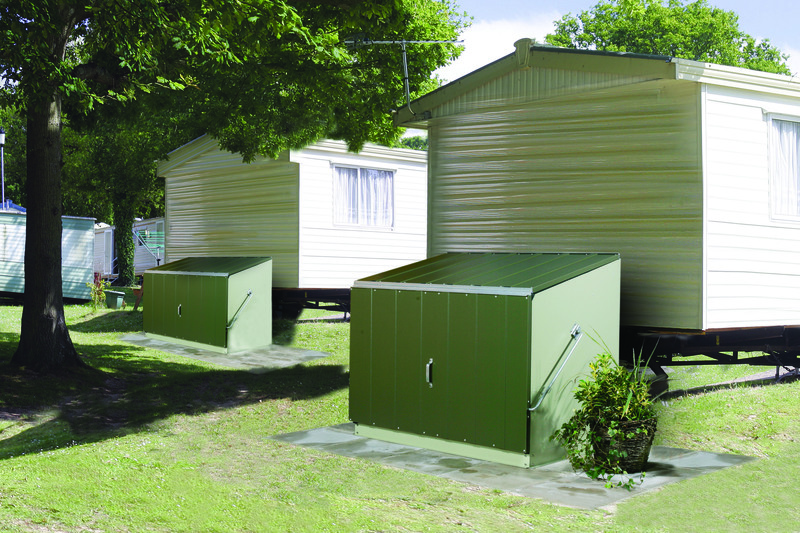 Thousands of people on static caravan and holiday home parks have solved the problem with the help of secure, durable and watertight metal storage units from Trimetals. True to the holiday spirit, convenience is a major feature of Trimetals’ storage solutions for mobile homes. All models are supplied in a convenient flat pack and are simple to construct because all major components are factory assembled. They come complete with all necessary fixings and easy to follow illustrated assembly instructions. Once in place, the storage units are also easy to use, featuring a unique spring assisted opening action which allows complete “walk in” access. With this design heavy or awkward lifting is all but eliminated as stored items are easily accessible. Unlike wooden or plastic alternatives, Trimetals’ UK-manufactured units are made with PVC-clad steel so they are both strong and durable. Importantly, they are also fire-resistant (a certificate is supplied with each product) so are not subject to site restrictions that outlaw some other storage solutions for static and mobile homes. There are six sizes of unit in the range, everything from the compact Sentinel to the mid-range Stowaway and up to the larger Storeguard and Bicycle Store units. With a 25 year panel guarantee, Trimetals storage units will not warp, become weak and brittle, crack or discolour over time – even in coastal locations. So, they offer excellent long term value for money.